The top 3 teams in this division are once again tightly bunched up. The Twins have come out on top each of the last two years but offseason additions in Chicago and Detroit have those two teams primed to battle it out for the top spot with the Twins probably lagging a couple games behind. The Big Donkey is ready to blast this team into the playoffs. 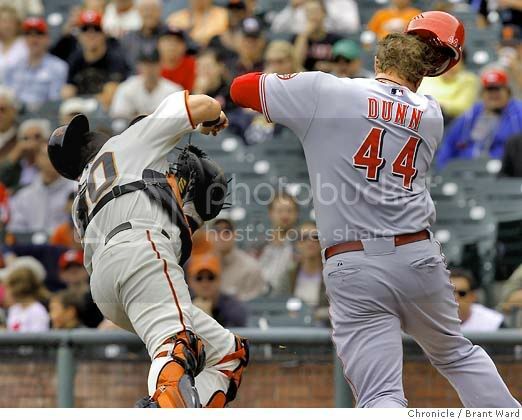 There can't have been a more perfect match of a team and player than the White Sox and their new designated hitter, Adam Dunn. The 6-foot-6 behemoth known as "The Big Donkey" has been clobbering an average of 40 homeruns per season for the last seven years while playing for a few uncompetitive National League teams, lumbering around the outfield and first base bag and making a few fielding bloopers along the way. A seemingly natural-born DH, he now joins a lineup that got zilch from its designated hitter spot last season while still winning 88 games and their home park is one of the most homer-friendly ballparks in the major leagues. This should work out well. The rotation doesn't really have one truly great pitcher but it does have four very good ones and, maybe, a still-effective Jake Peavy in the fifth spot. They're backed up by a sturdy bullpen that features a rare set of absolutely filthy left-handers, Matt Thonton and Chris Sale, both of whom average 96+ mph on their heaters. The addition of Dunn, a breakout season from 24-year-old Gordon Beckham, and that flame-throwing dynamic duo of lefties pushes this team just barely past the Tigers in a tight race this year. 86 wins and the division title. The comparison is probably giving Scherzer a bit too much credit since he hasn't accomplished that much in the majors yet but last year was his first in the American League and he managed pretty well for a 25-year-old, putting up a superb 2.47 ERA in the second half. I expect big things from him this year. If the White Sox slip at all or suffer an injury to one of their best players, I think the Tigers will take the division. Regardless, I think they'll be an 85-win team that stays in the mix with the Twins and Sox all year. As always, I'll be rooting for a three-way tie just because those always mean extra baseball, i.e. tiebreakers. The Twinkies always puzzle me, they've really got a knack for defying expectations. * They were without their closer for the entire season and lost their best hitter for the second half yet they won 94 games last year. They'll probably prove me wrong again this year but I still think their lineup is weak behind the two big hitters, Mauer & Morneau. With the exception of Morneau (if he's recovered from the concussion he suffered), the infielders aren't reliable hitters at all. 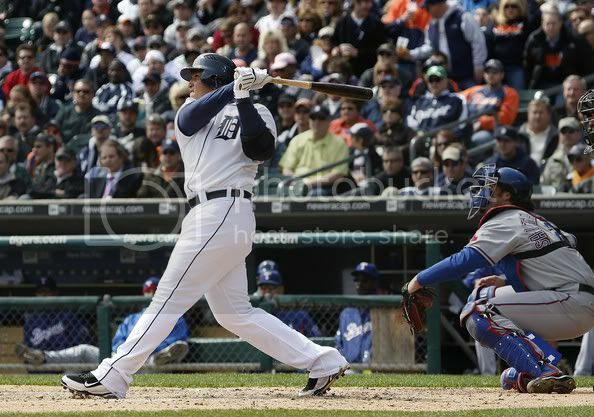 The team is benching Jim Thome in favor of a lesser batsmen to be the DH. Francisco Liriano seems to have regained his ridiculous stuff (201 Ks in 191 innings last year) and he'll probably be great again but none of the other starters are anything special; overall the Twins have the weakest pitching staff of the three Central contenders. With the kinks in their lineup, I don't think this team overcomes the replenished Sox and Tiger squads. *My older brother John, a baseball junkie who got me hooked on the game originally, once brought up an interesting theory that might account for this. When you think of the very best catchers, their teams are always competitive. Looking back at just the last 15 years or so, the best catchers have been Mike Piazza, Victor Martinez, Brian McCann, Jorge Posada, and Joe Mauer (with some big seasons by Javy Lopez and Pudge Rodriguez) and all of those guys, when they were on the field, played for strong teams. You think of the best catchers of all time (Johnny Bench, Yogi Berra, Mickey Cochrane, Bill Dickey) and they've all been on great teams. The true defensive value for catchers has always been hard for anybody to calculate and there's no doubt that a good-hitting catcher is one of the absolute most valuable gems in baseball. 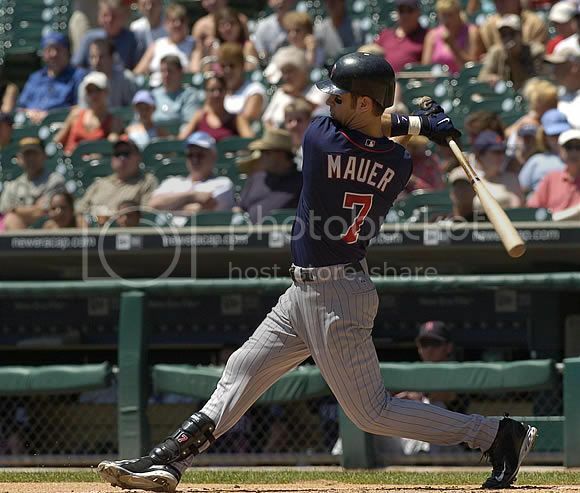 When Mauer is healthy, the Twins seem to be competitive no matter who they put on the field with him. This team might sneak up on people. If Grady Sizemore stays on the field, they've got a pretty potent group of hitters with Sizemore, Carlos Santana, and Shin-Soo Choo (such a wonderful name). Matt LaPorta was a monster in the minors and college ball but hasn't hit well at all in the majors thus far. He's only just turned 26 and could still break out, plus Travis Hafner is still an above-average hitter even though his power is depleted from his days of slugging around .600. They won't win too many games because the pitching staff stinks but they'll at least be playing some exciting games this year with an offense that can score. I took the "under" on their 74-88 PECOTA forecast above but I think they'll win more than 70 games, definitely. I'm glad to see that the organization is finally getting some positive attention because of the historically fecund farm system they've got, but the current major league team looks as bad as ever. They have exactly one proven above-average offensive player in the lineup, Billy Butler, and he's not all that spectacular while the best pitcher in their rotation probably isn't good enough to be a 5th starter on any of the contending teams in baseball. Joakim Soria is an excellent closer, though, if that's good for anything. While they'll surely sow some of those magic prospect beans into the major league roster this season, don't expect the harvest for another year at least. As currently assembled, this group could challenge the Astros for worst team in baseball.